How long does it take to travel round the globe? 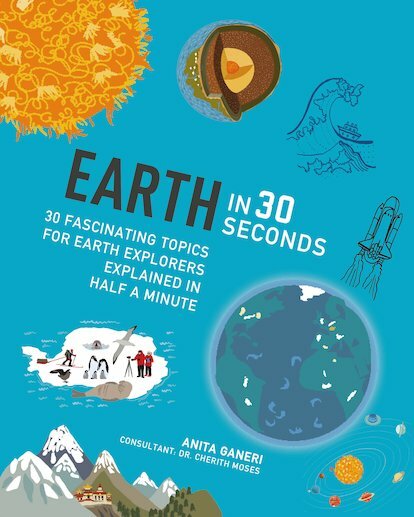 Well – with this book, you can do it in just 30 seconds! But you’ll still have time to check out our planet’s astounding features: volcanoes, oceans, seasons, weather, rocks and much more. How’s that for a whistle-stop tour? Each double-page spread covers one topic in a short 30-second soundbite and three-second flash summary. Plus, each topic has a three-minute activity mission where the fun gets hands-on. It’s a gorgeous book to look at, with stunningly beautiful colour artwork. So don’t hang around: you’ve got a planet to ride!